He can be a little unpredictable, but when he turns it on, Barzinho is a force to be reckoned with! The Hussonet gelding brought up his first Saturday Metro win with a superb finishing burst over 1600m at Belmont yesterday. Sent out at luxury double-figure odds, Barzinho was bumped at the start and shuffled well back in running, however, stable jockey Jarrad Noske didn't panic and waited for the turn to send the gelding out wide for his strong trademark finish. Whilst only a neck to spare, it was a dominant win and Barzinho again demonstrated his potential over the middle distances against quality opposition. 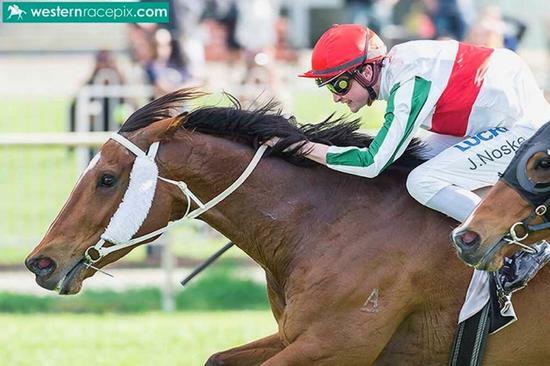 The five year old gelding has now amassed nearly $100k in stakes from his 23 starts and has been a lot of fun for his owners, some of them "first timers"!